My husband and I recently (in the past year-ish) purchased and remodeled our first home here in Nashville. If there is one thing we have learned it is that quality, over anything, is so important when remodeling your forever home. This is where we plan to create, raise, and grow our family; we need this stuff to last! (Especially with two Labradors running around). Remodeling our home should seem easier for us considering my profession… false. There is so much homeowners must consider when making these hard decisions, there is so much on the line. Trust me, it is hard work no matter who you are! 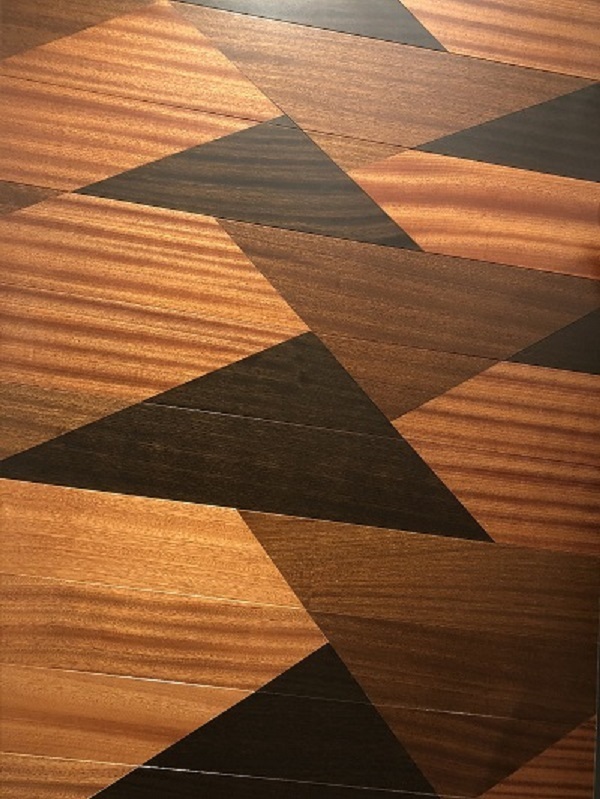 I am truly blessed in my profession, though, to have the opportunity to see first hand how one of the biggest aspects of a home, the floors, are made. 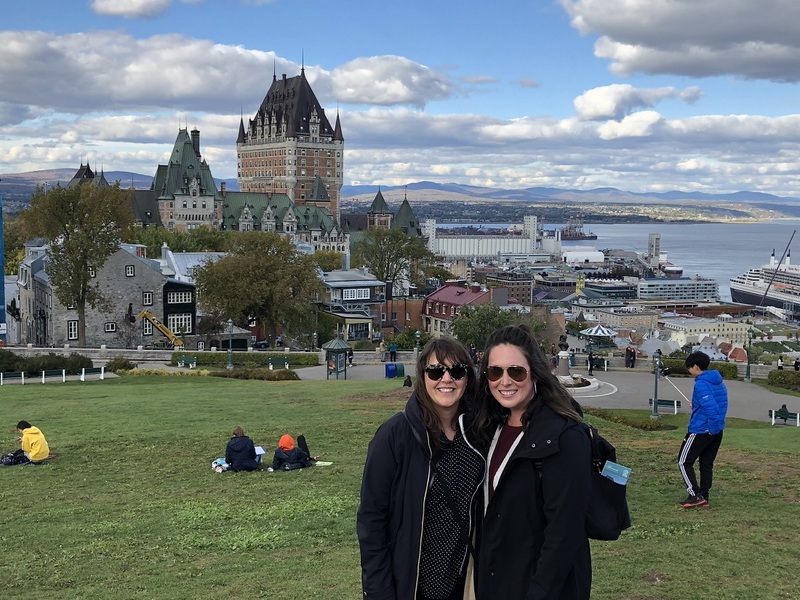 In October, Jennefer and I were invited to visit Quebec City to learn about the full process of producing the highest quality hardwood floors; and as a plus, we were also able to explore this beautiful city! One of the first things I learned was you pronounce Quebec as “KUH-bek”, and was reminded a few times after that. So, it is now stuck in my head and I proceed to correct everyone. 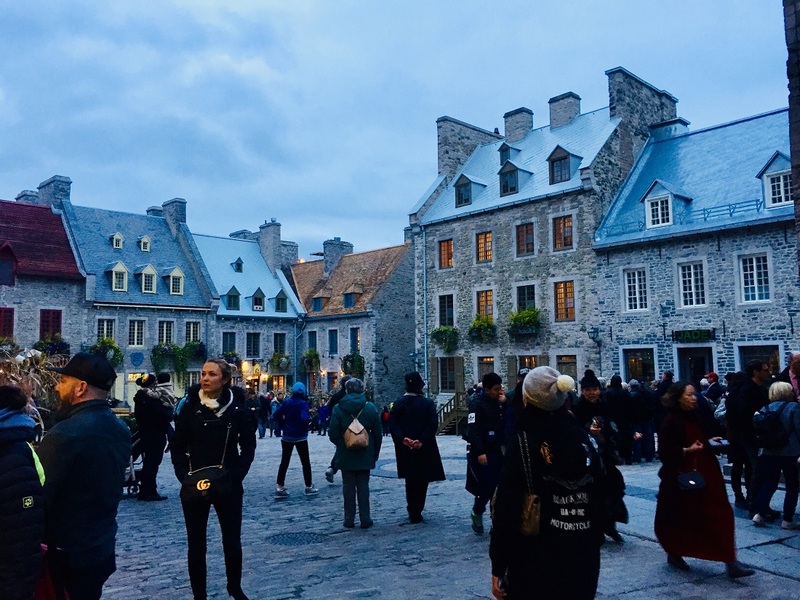 We spent most of our time in Old Quebec, which is known to have the city’s most distinguished architecture. This area has a warm European feel with its stone buildings, charming cobblestone streets lined with cafés and artisan shops. It is located within the Ramparts of Quebec City which are the only remaining fortified city walls in North America. Old Quebec also is home to the exquisite Château Frontenac Hotel which is where we were lucky enough to stay. I found myself memorized by the steeply pitched roofs, the gigantic towers and the decorative gables and dormers as we proceeded to explore this beautiful place. This beauty did not stop on the exterior! We were greeted with mahogany paneling, marble staircases, beautiful blue painted coffered ceilings and carved stone throughout the interior. 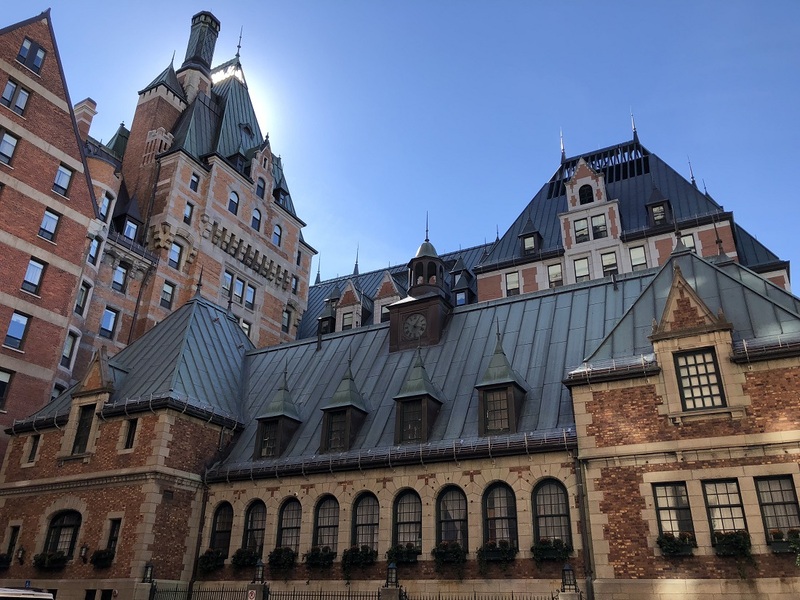 The Chateau Frontenac was built by the Canadian Pacific Railroad to encourage luxury travel to the area which you could clearly tell by the design. Old town has both an upper and lower district that are linked by a mountain of stairs that seem to go on forever and also the Old Quebec Funicular. Funicular, by the way, is a railway that is at a 45-degree angle and is about a 210-foot climb to Upper Town. Getting off the funicular, you step right out to the historic Petit Champlain street where many small boutiques are found, a.k.a. Heaven. Lower Town you will find Notre Dame des Victories church, also incredibly beautiful. We had the chance to visit the Citadelle of Quebec which sits on Cap Diamant. The Citadelle helps form part of the fortifications of Quebec City. The views from the Citadelle took my breath away, we could not have been in Canada at a better time, Autumn. Fall is my absolute favorite season, the colors amaze me, mesmerize me, fascinate me… I could go on. Having the opportunity to experience this season and these perfect Fall colors in a place such as this will forever hold a place in my heart. Our trip was perfect from start to finish but I can’t forget to talk about why we went there in the first place, exploring and learning at the Boa-Franc Mill in Saint-Georges. We had the chance to see start to finish the process of obtaining the actual finished product of wood flooring. The hardwood lumber is cut 1” thick and at random lengths and widths at the sawmill and delivered to the factory. The lumbar is then carefully measured before it is prepared for processing. I find that this is one of the most important jobs. If you think about it, this job touches every single piece of lumbar that comes through the mill to ensure they are only touching and producing a good product. The wood is then received and loaded into the kiln to start the drying process, this can last for several days depending on the type of wood. Once done in the kiln, the wood is placed into the rip saws and planers. The boards are then sorted according to grade. By that I mean a select grade versus rustic and so on. After being sorted the boards get cut into tongue and groove so once they are finished and in the consumers hands, they can easily be installed. Finally, the boards are measured for the thickness and width to ensure consistency of the product and then bound and stored in the warehouse for pre-finishing. DRUM ROLL PLEASE!!!!!!!!!!! The boards can finally be sent to a separate site location to be pre-finished. The un-finished boards are conveyed into the finishing lines where they will receive the stain and are instantly dried. Literally dried in seconds. The last process is extremely important to the manufacturer because it is the final contact with the product. After the boards are finished, they are sent to be arranged, inspected and boxed. This is the last chance to ensure quality, you only want to send your best product out to be sold and installed by their consumer. 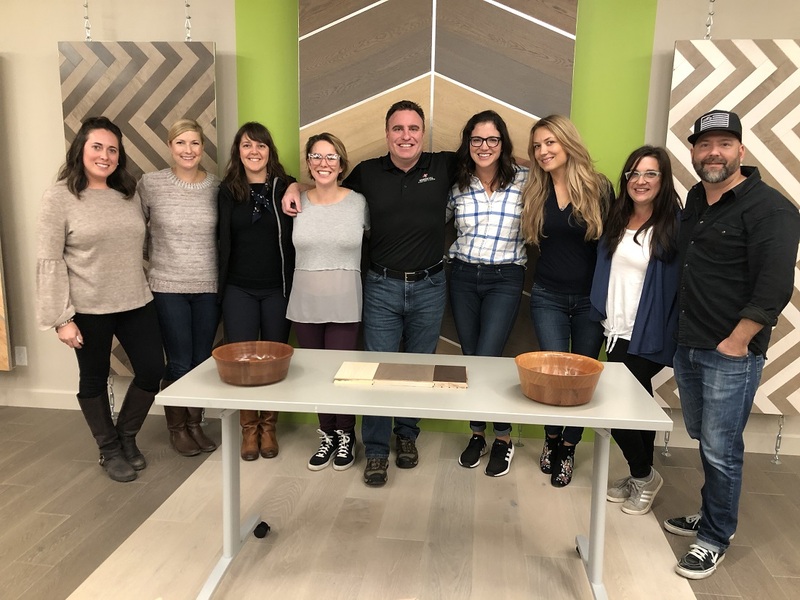 As I walked away from being able to experience and learn first hand about this whole process, I found myself amazed with what goes into producing a single piece of hardwood flooring. I cherish these experiences that allow me to pass on this knowledge and inform our clients on what true quality is. If I knew the information now about hardwood floor our decisions while doing our home renovation would be different. Quality is none the less the route to go for so many reasons. A home needs to be able to withstand everyday life whether that includes a household of five or two crazy Labradors or both! Regardless it is amazing to be in a career that not only lets you grow professionally but personally as well with these great experiences that allow you to grow! Lastly, I would like to thank to Jeff Rose with Mansion Hill Custom Floors and Harold Hall with Mirage Mill Tours for making this all possible. It was truly an unforgettable experience.